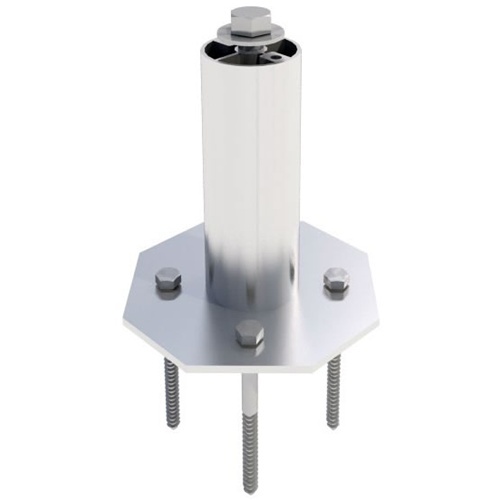 Flat top two-piece aluminum standoffs are ideal for flush-mounted applications and are sized to integrate easily with Oatey flashings. These aluminum standoffs are available in four different heights ranging from 3” to 7”. Comes pre-assembled, and includes L-foot mounting hardware.